Newly crowned WWE champion has thanked the Indian fans after his title victory against Daniel Bryan at Wrestlemania. 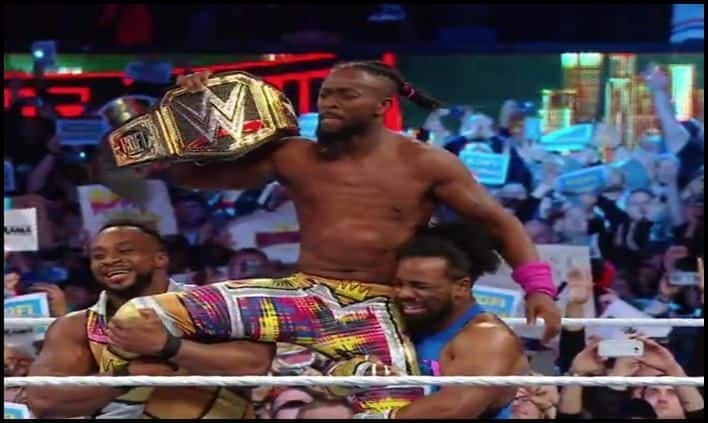 Kofi Kingston is crowned as the new World Wrestling Entertainment (WWE) champion after he defeated Daniel Bryan at Wrestlemania 35 in the Metlife Stadium, New Jersey. Doing so he has become the first ever-African American wrestler to win the grand slam of WWE – WWE title, Intercontinental title, US title, World tag team c’ship, RAW tag team c’ship and Smackdown tag team c’ship. The Jamaican born wrestler’s victory was met with rapturous applause from the audience and defies the troublesome history of African-American wrestlers in the business. The battle between Kingston and Daniel Bryan was a gripping one with several signature and finishing moves executed. However, in the end, it was the fan-favourite Kofi Kingston as he emerged vicariously with the WWE title after tackling all the obstacles for the first time in his 11-year illustrious career in the WWE. He used his finishing maneuver, ‘trouble in paradise’ to pin Bryan. The 37-year-old’s New Day teammates Xavier Woods and Big E were on the ringside for support as they neutralised Bryan’s Rowan. In an interview after the match, Kofi Kingston and his ‘New Day’ teammates Xavier Woods and Big E (Ring names), spoke to the Indian media and thanked the fans from India for their continuous support. Kofi Kingston and ‘New Day’ enjoys a huge fan-following in India and had even visited the country previously. “Apna time aayega,” said Kofi thanking the Indian fans. “We love you India, and we love all the support you have extended towards Kofi for his match,” added Big E.
Kofi Kingston has opened a new chapter and paved a way for the African Americans, who have had a controversial period in the company’s 67-year history. Most of the fans had to bank on The Rock’s success for black excellence in the WWE.